When you have a structure for your collection and an idea of what type of styles you wish to have, it’s time to start sketching. Revisit your inspiration, the brand image, and your customer profile. The styles should fit in with the vision and identity of your brand. For example, if you will be an active wear company you will focus on active wear. You will have to give the customer the connection between the brand image and the product. They need to correspond. It’s easy to want to do everything at once, but the best is to narrow the focus to only one or a couple of categories, like just outerwear, or just tops and grow from there. If you start small you won’t have the budget anyways to do it all. Have the overall spirit of the collection in mind, to have a cohesion, same color story and shared materials. Yes, please do! It’s so easy to get carried away, you have so many ideas you want the world to see, but it will just be confusing. If the garments don’t have “hanger appeal” and are not “strong” enough they won’t sell anyways. If you have trouble editing by yourself, get some people on board who know what they are doing, like stylists for example. When designing, make sure that the lines in the design tells the same visual story in all garments. For example, if you use a lot of angular shapes and sharp seams/lines, and have one piece that has all rounded shapes, that piece is going to feel off, it’s not going to be cohesive. Think about having a red thread throughout the whole collection or the few styles. And don’t limit your thinking only in the designing, think also about the styling and the merchandising. How is the collection going to be merchandised in the shops and how do you want the pieces to be styled in the lookbook. 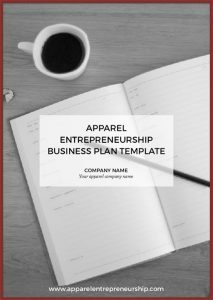 Usually, the design part is about 10% of the chores in your apparel business. Make sure you really, really enjoy it and that you have fun doing it. Paper and pen are ALWAYS a good start in the design phase. When having a clear front, back and details sketch drawn out, move on to the computer and translate that in an Illustrator file, called The Tech Pack. The Tech Pack consists of front, back and side views of the style. 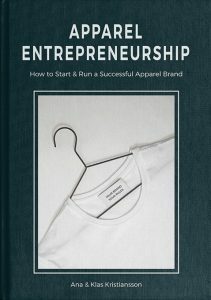 Instructions on fabrication, trimmings, stitchings/lamination, inside sketches, sketches of details, logo and branding positioning, and color versions for the style. This is then sent to the factory so they can make you a prototype. Whatever you decide to design, or if someone else is designing for you, it’s vital that you find your voice and that the garments speak you, your brand and your vision. Stay on top of the design process. Learn to make sketches out of your ideas. If you don’t know how to, practice until you can. Your product is your business, and if you leave it all to someone else, you will be lost without that help. Without design “in house” you are in a fragile, exposed position.